Towards the end of last year we got retested for our food allergies and this time tomatoes came up for me as well as my son. I’m not sure if this is a new allergy/sensitivity that formed from eating too many tomatoes last year or if we were allergic or sensitive all along. 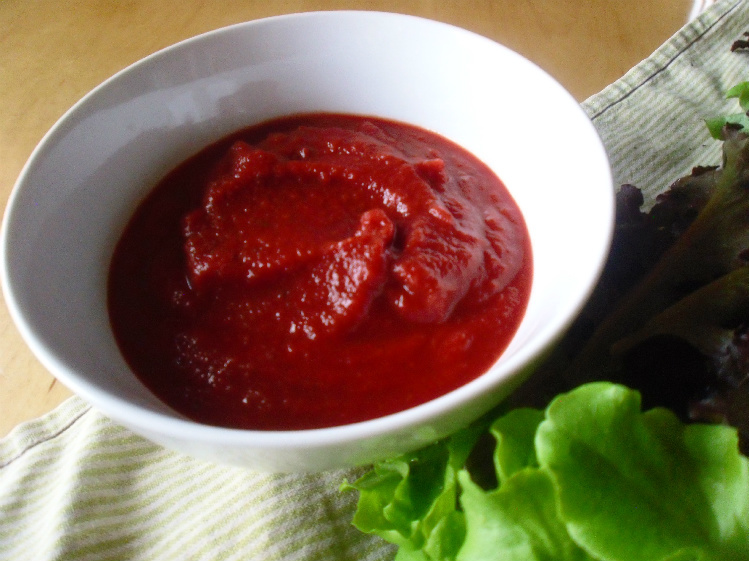 Luckily, I had created a nightshade-free and tomato-free marinara sauce recipe earlier in the year for the menu planners. I based the recipe on the ingredients found in the “Nomato” Sauce you can order. At first after we went off tomatoes, I kind of forgot about making the sauce. Then I made it for a client and it reminded me how simple and yummy it is. So, with the seasonal beets I’ve been getting from a farm where I order our dairy products, I’ve been making it almost every week now and using it in pasta, lasagna, and pizza recipes. My husband also took the liberty of making some barbeque sauce out of it and it worked great! It’s been so nice to be able to eat “marinara” sauce again! I thought this would be great recipe to share as there are so many people with tomato and nightshade allergies or sensitivities. So, I hope you enjoy this wonderful recipe for tomato-free marinara sauce! 1. Saute the onions in oil in a medium to large saute pan. It helps to have something that has a lid. Cook onions until soft, about 5-8 minutes. Add the carrots, beet chunks, and about 3/4-1 cup water. The smaller you make the beets, the faster they will cook. 2. Cover and cook veggies over medium-low heat or at a simmer. Cook until the beets are soft, about 20-25 minutes. Check on them periodically to make sure there is still some water in the pan and they are not burning. 3. When beets are cooked through, add about 1/2-1 cups more water, herbs, salt and pepper. Using a hand blender (or transferring to a blender), blend veggies with water until smooth. Add more water if needed to make a marinara-like consistency. Add more herbs or salt to taste. If you would like some tang, add the lemon juice or apple cider vinegar to make it more acidic like tomato sauce. This keeps well in the fridge and it makes a pretty big batch. I’ve been using some for dinner the night I make it, then freezing half the batch in a couple containers for future use. However, it keeps in the fridge for over a week. 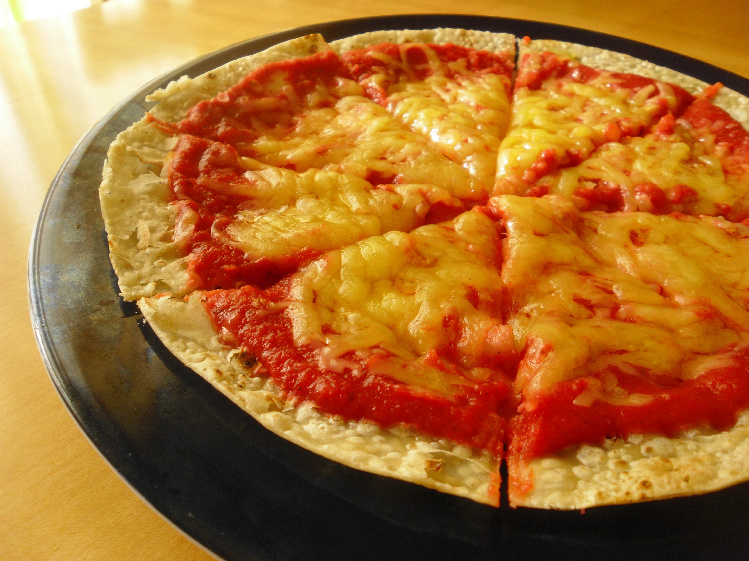 The picture above is of a brown rice tortilla pizza snack made with the nightshade free marinara sauce and raw cheese. Hey, I even fooled the neighbor kid and she ate and loved it! I think I also may be converting her to raw milk:) (We introduced rice and milk earlier this year so we are officially off GAPS!) Enjoy! This recipe was contributed by Sarah Schatz of Heart of Cooking. Personal Chef Services: We do the menu planning, shopping, cooking and cleaning for you! Services are provided in Frederick, Maryland, Hagerstown, Maryland, Washington D.C. and Baltimore, Maryland. Allergy Free and Nourishing Foods Menu Planners: Emailed to you weekly, these planners help you get on the right foot with your new diet. Individualized Menu Planning for people who have multiple food allergies or restrictions. 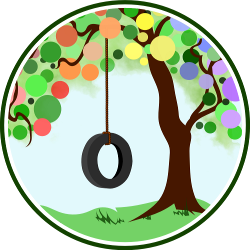 Consulting: If you need specific help with transitioning to a new diet, I offer hourly consultations over the phone or in person. You can follow Heart of Cooking on Facebook or at their blog. My hubby has to give up nightshades due to a chronic pain condition. This looks really good. I will have to try it! I have avoided tomatoes for 20 years due to allergy. Every now and then I’d take a couple of Benadryl so I could enjoy the tomato sauce I love so much, but it became an increasing risk I shouldn’t take. I don’t know what made me search today after all this time for a tomato free marinara recipe but my life has changed!!! This is a delicious recipe, easy to doctor to your tastes, and soooo rewarding to enjoy marinara without fear!!! Thank you! This looks good…does it really taste like tomato sauce? My husband hates cooked carrots and beets…so wondering if he will actually like it? !